Master Wharton Tiers, Standing behind Fun city and numerous projects that came through it, takes us on a wonderful, fearful wandering through urban phantasmagoria and drone music that sounds like the endless fall from the edge of the universe while staying loyal to the conceptual boundaries of the city. How does Tiers keep brilliant interstellar drones with the gray urbanity? 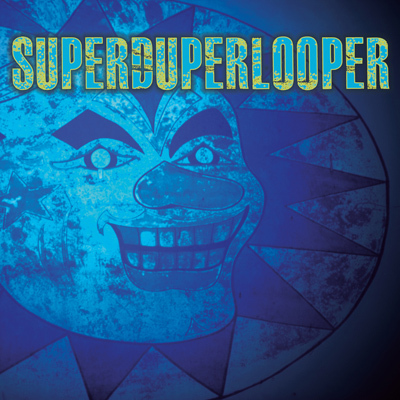 Well, SuperDuperLooper is one gigantic atom smasher, colliding powerful loops of sound that buzzes everywhere between agonizing ferocity and sublime divinity with recordings of the urban world. Take ‘Terminal Dumpster Juice’, for instance. It pulses madly into taking the listener into a trance that sounds both like a space flight to Pluto and a forced immersion into concrete. Tiers knows well how to increase the intensity and the magnitude of the music, and even when we think we are standing at the furthest point possible in the universe, Wharton Tiers keeps expanding for us in a super duper way, so we can find more and more limits and boundaries to pass. Get this album, it’s a keeper.